Below is the first week's Lesson Plan of the Basic 3 Year Curriculum for children around three years of age. Each Lesson Plan includes a list of suggested supplies, objectives to cover during the week, and suggested activities to introduce the child to the objectives. Choose objectives and activities that are appropriate for your child and situation, and then incorporate them into the child's normal activities. Purchase the 3 Year Curriculum Guide and Workbook to access the Complete Curriculum. The objectives are the goals in which you want to teach your child during the week's time. I suggest using the Introduce, Recognize, Identify teaching strategy to help your child learn each point. Pick and choose the objectives that you want to cover. All objectives do not need to be covered each day but can be spread throughout the week. 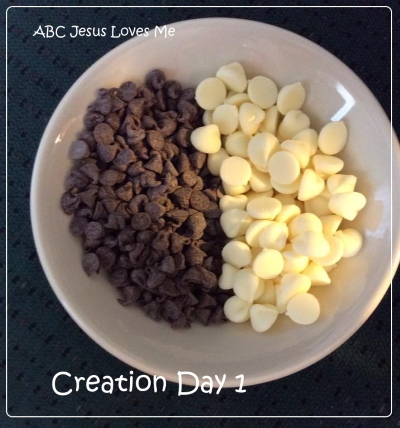 What did God create on Day 1, Day 2, Day 3? What is your favorite activity to do during the day? What is your favorite activity to do during the night? What is your favorite activity to do in the water? God created everything. God gave us day and night. Why do we need night time? God created the sky and water. Why is water important to us? Number Rhyme: Around, around, around you go. That’s the way to make zero! 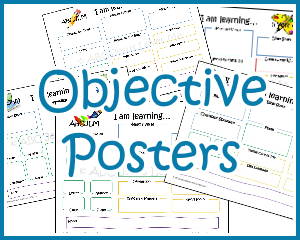 Optional Addition: One of the best ways that I have found to keep track of what the child is to be introduced to (the objectives) and incorporate the objectives into daily activities and play is to use the "I am Learning..." Objective Poster. Transfer the objectives (above) to the sheet and hang it on your refrigerator or prominent place to help you and others remember the objectives for the week. By placing the poster in a dry erase pocket or a picture frame and using a dry erase marker, the sheet is reusable from week to week. 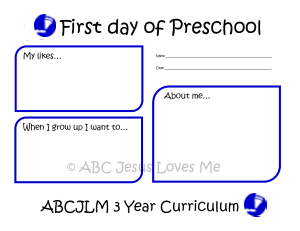 Click to order this printable found in the 3 Year Workbook. Use the 3 Year Objective Checklist to determine what your child knows and to check for learning along the way. Optional Addition: The Scope and Sequence explains what is going to be taught when. This is especially helpful to see in table form exactly what the child will be introduced to and note planned review weeks. Use the spreadsheet to plan around special events and holidays, easily switch objectives if needed, or to combine curricula with more than one child. Click to order this printable found in the 3 Year Curriculum Guide. - As you read the story, have the child give a thumbs up every time God says, "It is good! Cut out the Creation wheel template. Add a title to the empty segment. Color the pictures. Using construction paper, trace and cut out a second circle the same size. Cut out a “pie” segment from the second circle that is slightly smaller than one segment on the first circle. Make sure not to cut all the way into the center. Insert a brad (paper fastener) into the center of both circles with the second circle on top. Review the creation story by turning the top wheel to expose the pictures below. 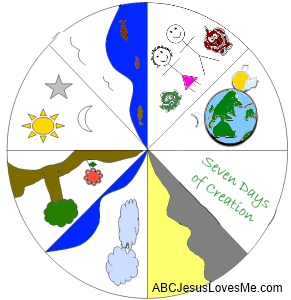 You can also create your own wheel by cutting two circles and drawing or using stickers for the seven days of Creation. 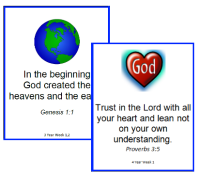 Optional Addition: Memory Verse Cards are a wonderful tool to learn the memory verses. Each card contains the verse, reference, a corresponding picture, and a piggyback song or CD to sing the verse. 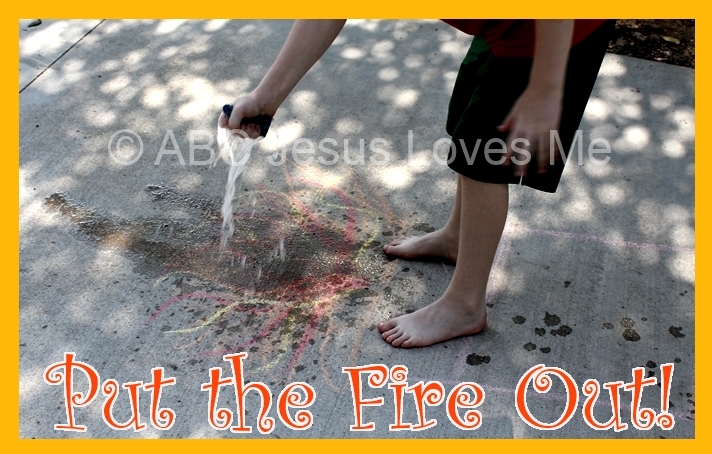 Also listed is the week the verse is used in the ABCJLM Lesson Plans (i.e. 3 Year Week 6). Cut out and glue both the front and back of each card to cardstock for extra durability. Rubber band together or hole punch and combine with a c-ring. Keep in the car, by the child's bed, or near the dinner table for quick reference and review for the whole family. 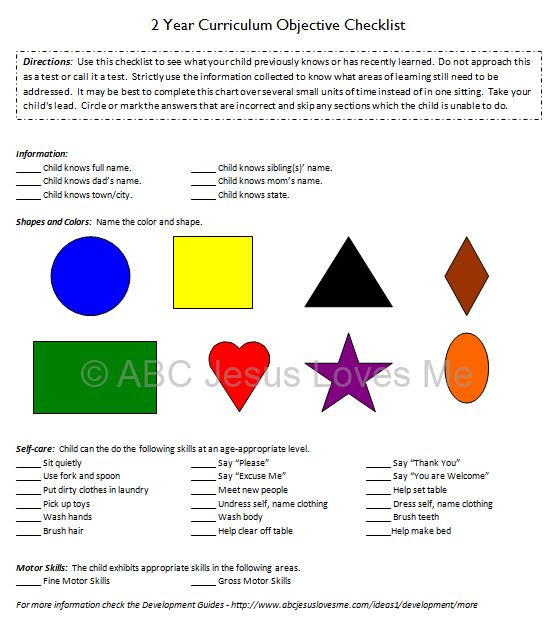 Click to order this printable found in the 3 Year Workbook. 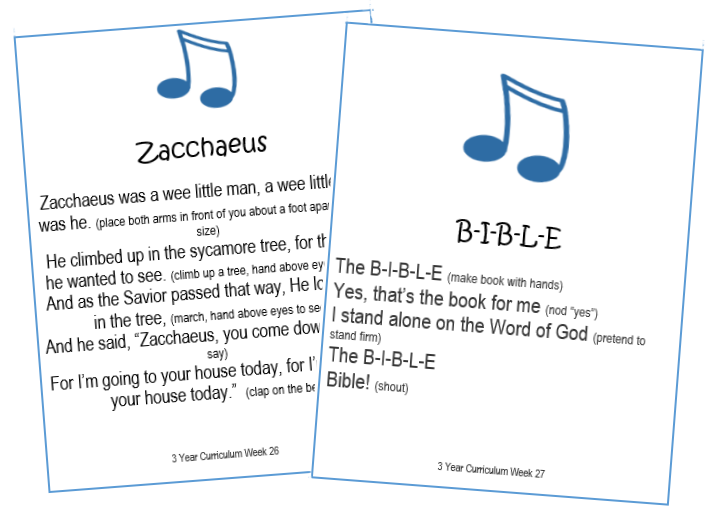 Available as a digital download, the 3 Year Bible Song Cards consists of 26 cards containing the Bible Songs used in the 3 Year Curriculum. Also included are 2 extra cards to create your own. Print, hole punch, and bind together for easy access and mobility. 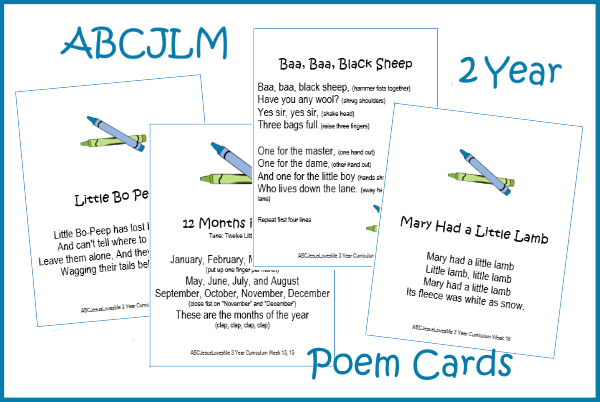 Available as a digital download, the 3 Year Poem Cards printable is made up of 25 cards containing the poems used in the 3 Year Curriculum. Also included are 3 extra cards to create your own. - For the next few weeks, use the Building with Colors worksheet to build a color ice cream cone. This week add the black, blue, and white ice cream scoops. - View Boz Colors and Shapes and discover God's world through colors and shapes! - Create a Number Book using the number posters to introduce the child to several art media and counting. After decorating the poster using the suggested medium, add the appropriate number of stickers to the poster. At the end of the curriculum, a book will be created for numbers 0-15. 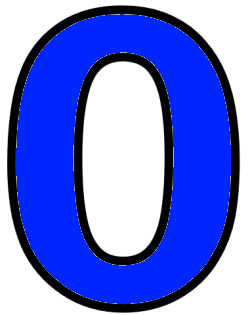 For this week, use black, white, and blue crayons to color the Number 0 poster. Because zero can be hard concept to understand, explain that zero means none and put no stickers on the worksheet. Play a game asking the child to jump up and down, clap, and say his name zero times. - Tactile numbers (also called sandpaper or textured) are key to the 3 Year Old Curriculum. 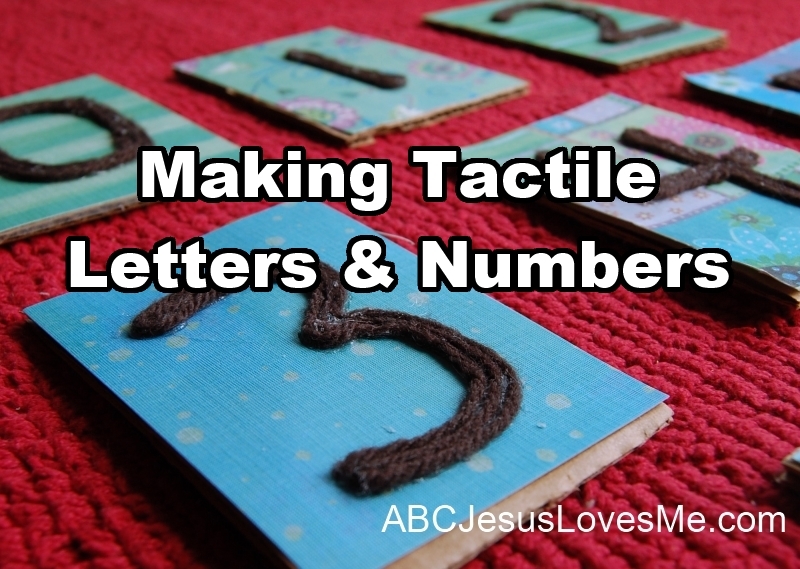 Because many 3-year-olds do not have the fine motor skills for handwriting activities, this curriculum emphasizes tracing the letters and numbers with the child's finger. Using the roughness of sand, glitter glue, or yarn adds one more aspect of learning. The ABCJLM website contains a plethora of simple ideas to make or purchase your own tactile letter set. As the child traces the tactile numbers, be sure to say the Number Rhymes included in the Objectives to help the child learn the correct formation. • Calendar Activity - From Starfall.com, this activity is a great start to the day. The activity reinforces numbers, days of the week, and months of the year. - Fingerplay: After reading the book several times, sing the song while doing the actions by memory. - Color and cut apart the Five Little Ducks worksheet. Back each duck with sticky tape and post. Sing the song or read the book and have the child remove one duck for each verse (begin with Duck #5). To make the activity more difficult, scramble the ducks so that the numbers are not in order. - As the book progresses, sing each verse in a "sadder" voice. Talk about the feeling of "sadness." Show a "sad" face. Talk about things that make us sad just like the Mommy Duck in the story. - Practice counting backwards from 5 to 1 using your fingers. This is a great fine-motor activity. - Visit a local pond and feed the ducks. 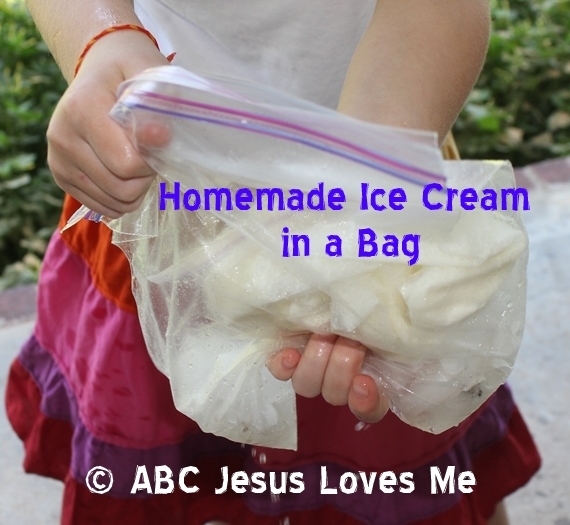 • Family Fun - Create a family tradition of making homemade ice cream in a bag or in a coffee can. Correlate with the "Building with Colors" activity. Place the three ingredients in a quart-sized zip-top bag or a small coffee can. Mix and seal the container very well. Because the seal may not hold through the mixing process, you may want to tape the seals closed. If possible, refrigerate this mixture for a few hours to speed up the freezing process. Place the well-sealed zip-top bag in a gallon-sized zip-top bag or the small coffee can inside a large coffee can. Place crushed ice cubes and approximately 1/2 cup rock salt inside the larger containers to surround the smaller bag or can. Seal the larger bag or coffee can very well. Then shake and roll the containers for 5-10 minutes until the mixture turns into ice cream. Carefully open the smaller container making sure that the water and salt freezing ingredients do not come in contact with the ice cream. Grab a spoon and enjoy! Periodically throughout the curriculum, the child will be instructed to draw his family. This can be a daunted task for some children. Begin by demonstrating how to draw a person. Use simple shapes for parts and explain what you are doing as you draw. Let your child assist in the process. Later in the week, give your child a chance to try it himself. For more ideas read, "Teaching Your Child How to Draw a Person." Be sure to look over the Development Guide - 3 Year so that you are familiar with developmental milestones for your child's age. Optional Addition: Below is a Daily Schedule dividing the Lesson Plan into a week's time. Beyond Week 1, the Daily Schedules are not provided on the website but are available in the printed 3 Year Curriculum Guide.